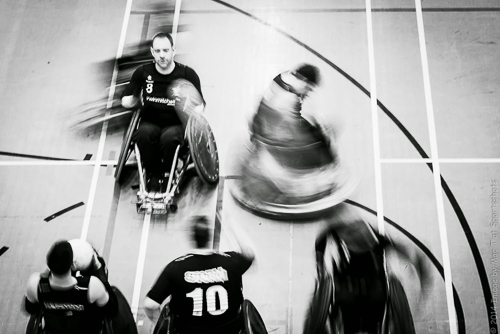 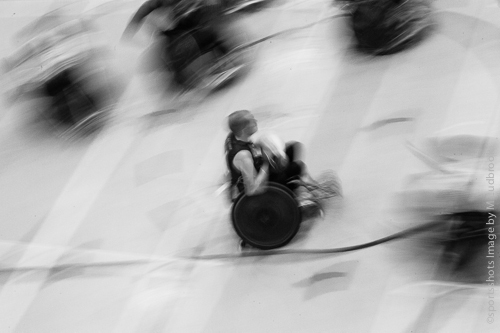 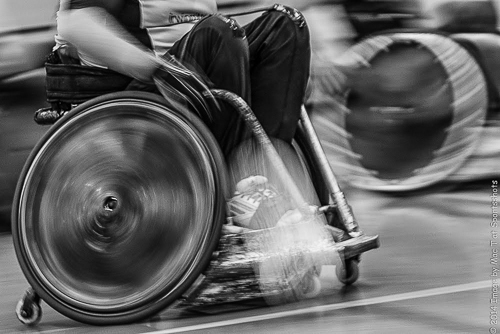 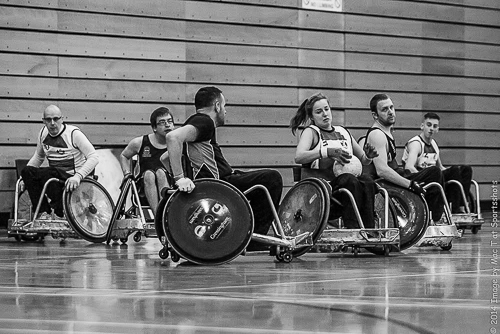 Wheelchair Rugby is a fast paced full-contact team sport for male and female athletes with functional impairments in at least three of their four limbs. 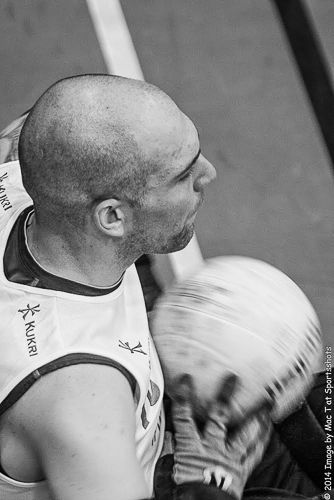 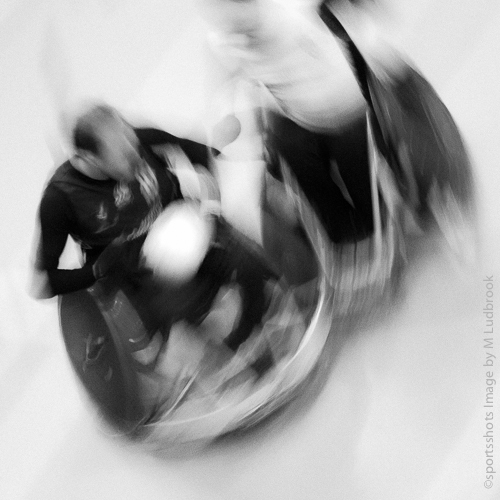 Being a mixed sport, both male and female athletes compete together on the same teams. 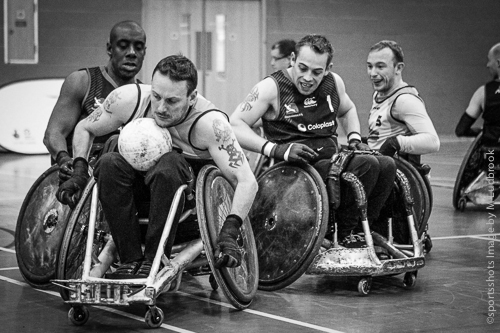 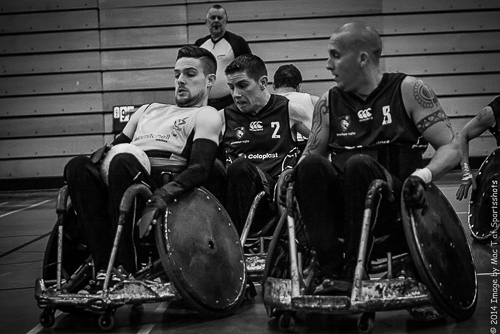 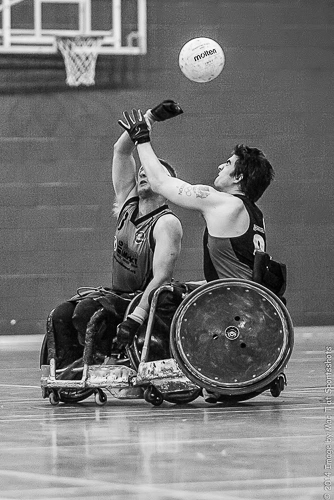 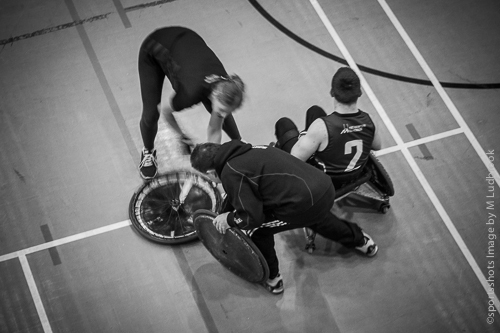 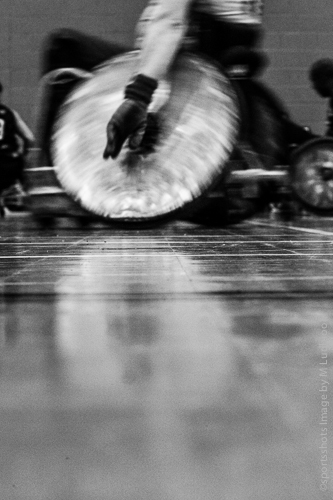 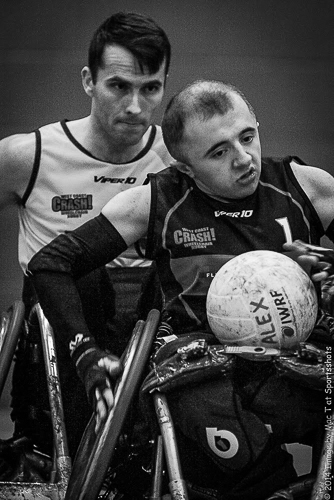 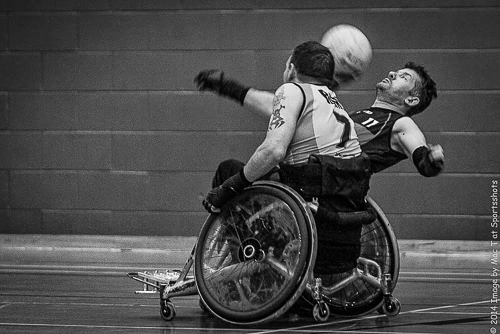 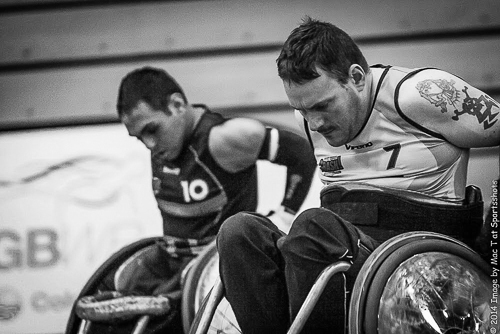 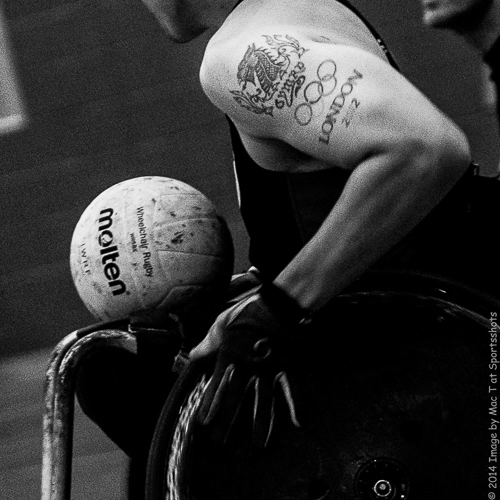 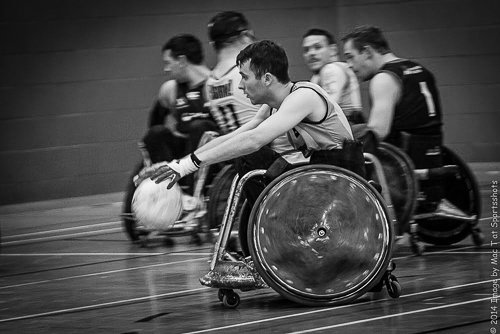 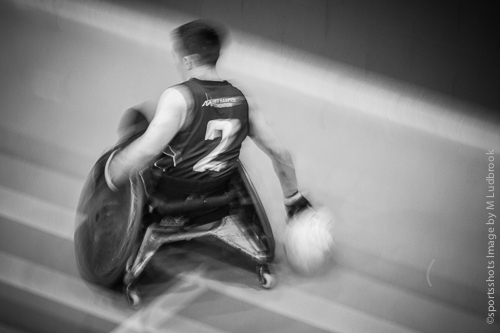 Wheelchair Rugby is a unique sport that was created by athletes with a disability, and combines elements of basketball, rugby and ice hockey. 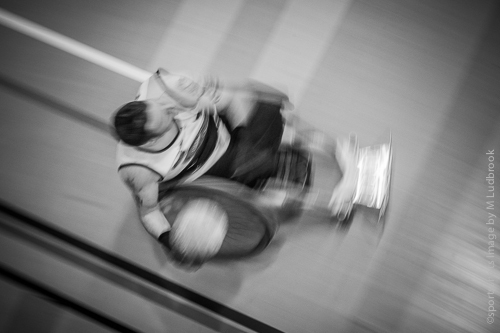 The game is played indoors on a slightly modified hardwood basketball court between two teams of four players each. 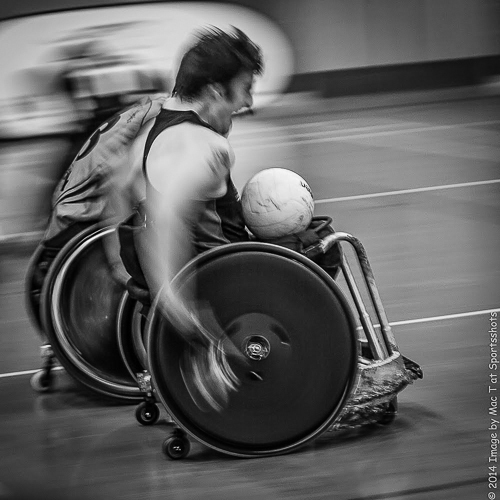 The object of the game is to carry a ball across the opposing team's goal line in order to score points. 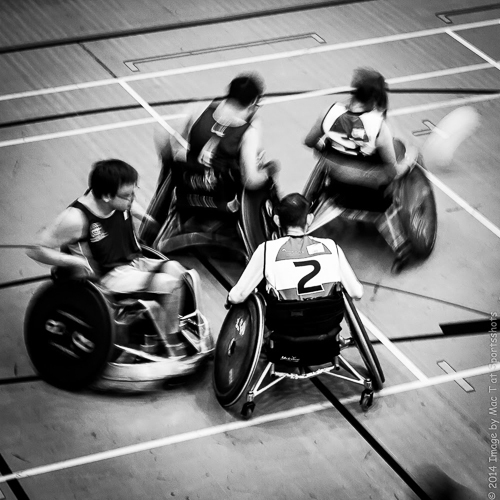 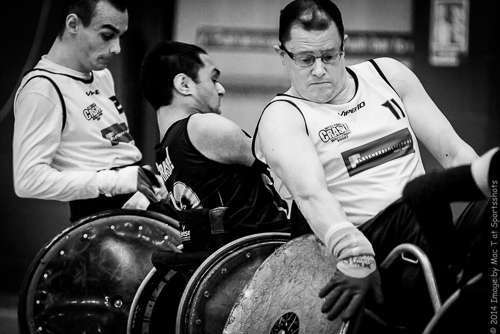 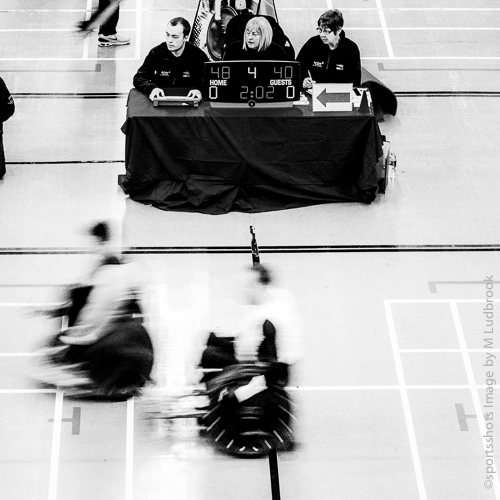 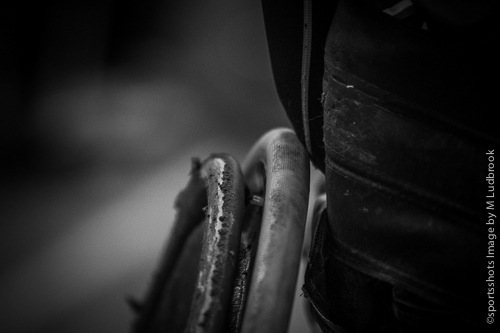 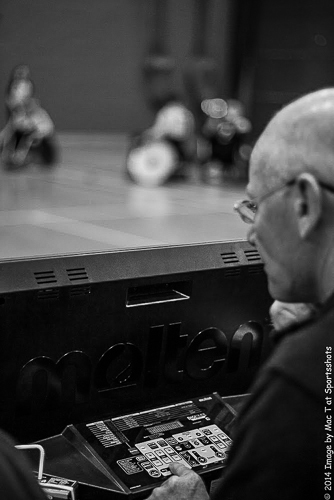 Contact between wheelchairs is permitted, and in fact is an integral part of the sport. 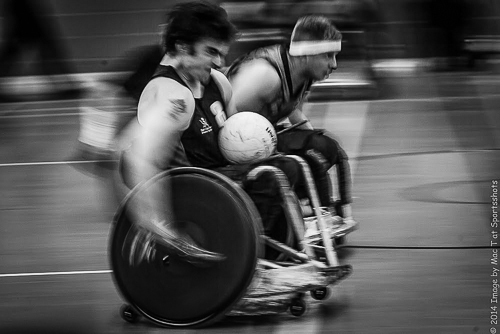 Players use specialty built rugby chairs to block and hold their opponents during play. 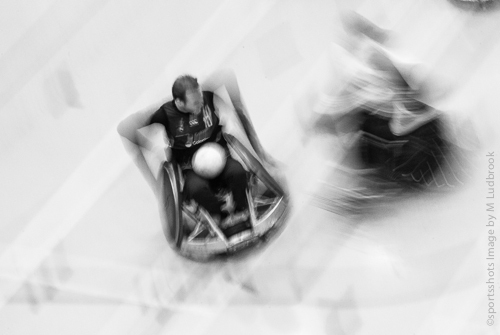 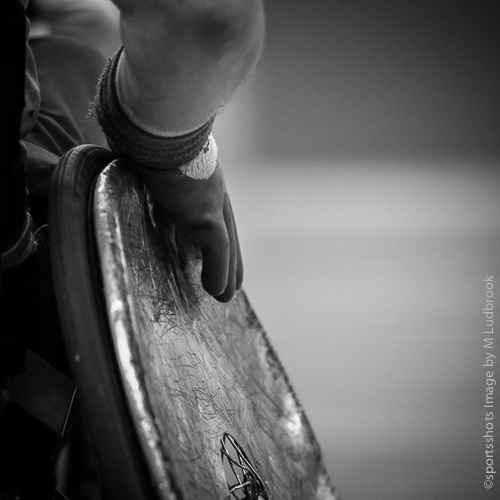 Over 3,000 people participate in wheelchair rugby around the world, and it is actively played in more than 27 countries today. 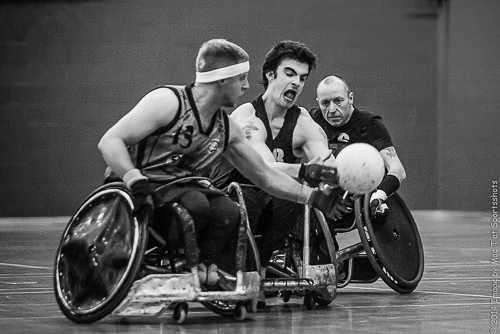 Derbyshire’s Ryan Cowling is now entering his 4th season in the sport playing defence position and has recently joined and captained the Great Britain Talent Development Squad (GBTDS) leading the team of hand picked players from across the UK out to the 'Rugby Mania' competition in Prague. 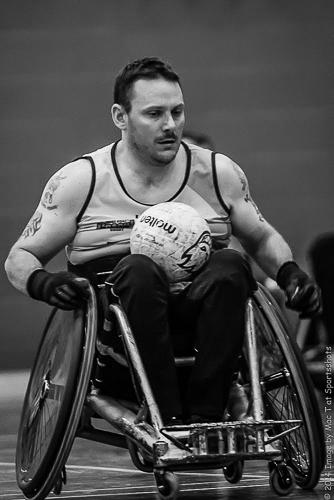 Ryan who previously used to teach scuba diving for wheelchair users, is keen to remain with the team through 2015 but will have to prove himself against much competition for the few places in the squad. 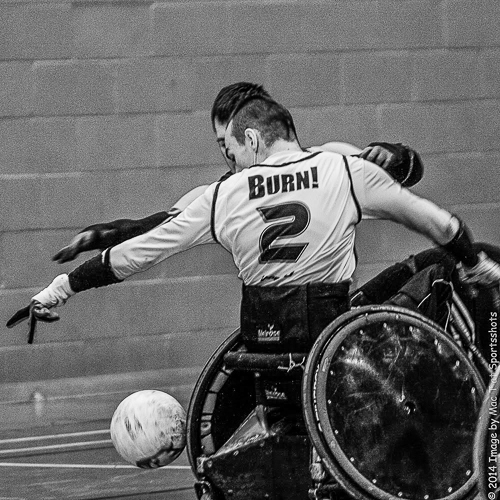 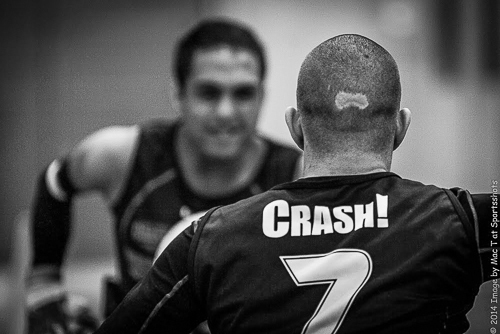 Ryan’s regular club team is 'Burn' a part of West Coast Crash who play in Division 1 in the super series. 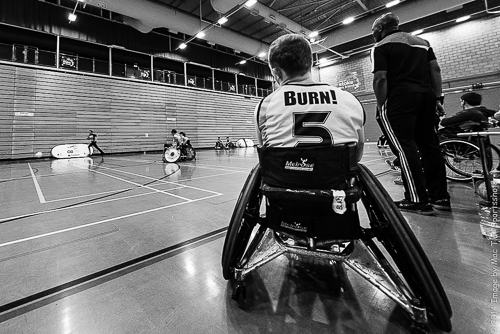 Training schedules mean Ryan traveling around to practice with various teams from as far as Southport,Nottingham and Sheffield. 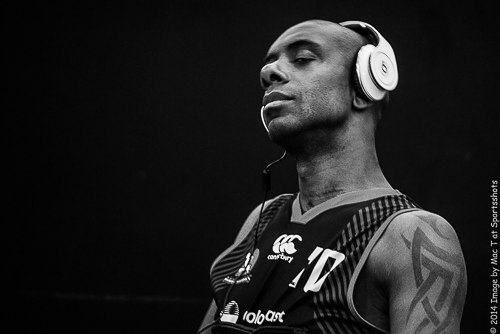 A commitment he himself is willing to undertake,training three times a week as well as any personal fitness sessions on top of that. 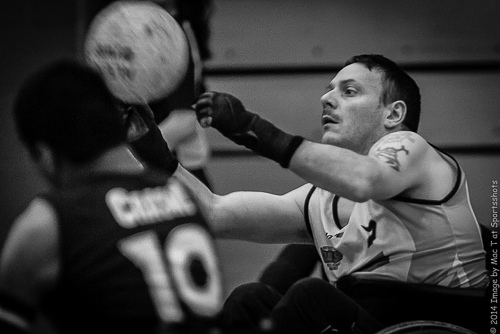 If Ryan can stay with the GBTDS this season it means working toward the Rugby World Cup being held in October 2015 at the Copper Box Arena in London’s Olympic Park . 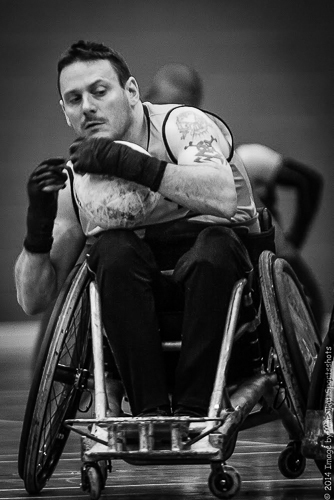 We wish him luck and hope report on the event should he be selected.